1 // MAC Cremesheen Lipstick in Crème Cup This is the first lipstick I bought and tried for this little goal of mine, and I hit the jackpot. It's actually a bit more pink than is showing up in the pictures, and I love it. The formula is really smooth and does not feel like any lipstick I've ever tried. It lasts a good while (and kind of tastes good too). This is the one that I'm grabbing and applying most often. 2 // Nars Satin Lip Pencil in Rikugien This color is clearly more red than the others, but as someone who doesn't typically like a red lipstick (I always slightly resemble a clown! ), I was pleasantly surprised to find I like this color. It's red without being too red. Out of these four, this definitely goes on the most smoothly, and it feels great! 3 // Sephora Ultra Shine Lip Gel in Pin Up Pink I've been looking for lipsticks, but I was surprised by how much I like this lip gel. It goes on more like a gloss, and it does have a little bit of stickiness, but I really like the color. Because it's more of a lip gloss, it does not have the lasting power that a lipstick does. It's perfect if I want a punchy color that I don't need to last too long. 4 // Urban Decay Super-Saturated High Gloss Lip Color in Lovechild In the pictures above, this color seems very similar to the Sephora lip gel (#3), but in person this one is not as hot pink. I love the way that this feels going on, and they are not lying when they say this is super-saturated! The color stays really, really well. This is my second favorite of the bunch. So! tell me what you think! Which is your favorite? What colors/brands should I try next? So pretty! I like the red on you for fall and winter! My fav overall is probably #1. They are all so pretty! 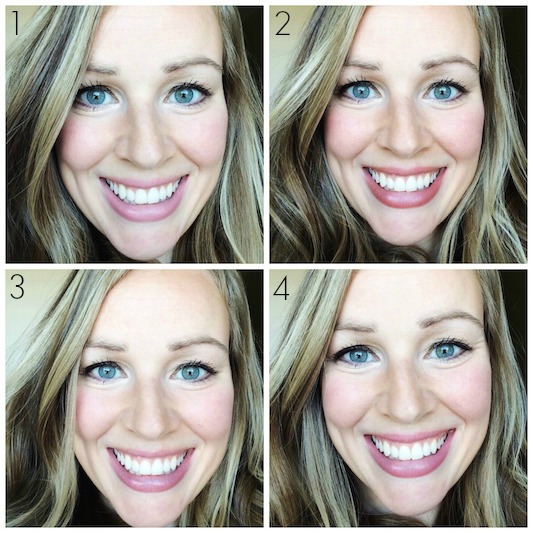 I think my favorite is the top right - it really makes your whole face shine! I don't wear lipstick much but I would love to try a bright pink-ish purple. Arbonne recently came out with a bunch and I'm thinking of ordering one.